This summer I’m teaching a graduate class, Principles of UNIX, which is more or less a crash course in the Mother of All Operating Systems. One of our early topics is email on UNIX, in which I try to impart to the class just how transformative email was back in the day. For early Internet users (mostly UNIX users), this was an incredibly big deal. 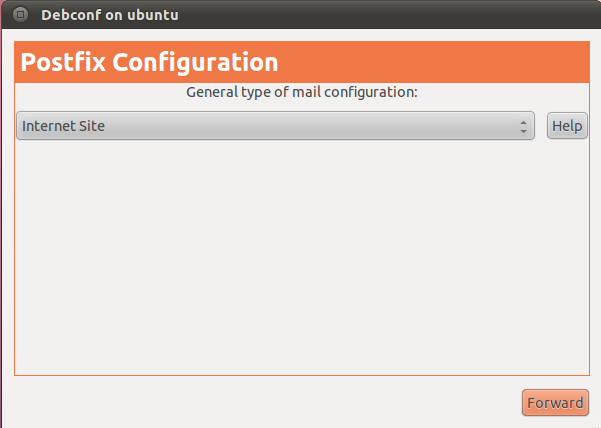 Unfortunately, setting up email on a Linux or UNIX system is not quite as automatic as it once was. In our class we use mailx and sendmail as tools to send files from background processes or cron jobs - but mailx will typically not work out of the box. In this post I’ll discuss how to get it working on an Ubuntu 11 system. Back in the day if you wanted to send mail, you simply found a handy dedicated server that was accepting incoming SMTP connections. There were thousands, and they were undiscriminating, so this was no big deal. The invention of spam ruined that. Now any SMTP server you find is going to require you to go through a bit of a dance in order to authenticate and prove you are not a spammer. I started off this post with the intention of showing you how to use your gmail account to access Google’s SMTP servers. The process was fairly arduous, as it involved creating a certificate authority, your own certificates, and then setting up the mail server to use this authentication. While working on this, my son Joey recommended that I just set up a free account on one of several email gateway providers, such as SendGrid or MailJet. Both services will let you access their servers and send up to 200 emails a day for free. I took him up on it and found the process to be much simpler than using gmail, so I’ll pass along the setup procedure here. Obviously, SendGrid is in business to get you to purchase a commercial account so you can send thousands of emails a day from your web site. Accordingly, the don’t go out of their way to advertise their free plan. If you go to their pricing page, you will find a link to the free plan. Setting up an account is easy, but SendGrid insists that you have a web site. For automatic verification they will need to find your email address on the site. I opted for an alternate provisioning plan in which I created a page on my site with the phrase “Sendgrid”. Once you have an account, you have free access to the SendGrid SMTP servers for up to 200 outbound messages a day. So you are ready to configure your UNIX system to take advantage of it. That seemed to be all I needed for basic configuration. Now that postfix is properly configured, I can really start taking advantage of the mail infrastructure on my system. The next obvious step is to create a .forward in my home directory, and give it my external gmail address. That external address will now be the recipient of output from cron jobs, or from at or batch. It’s nice to have the mail set up as in integral part of the O/S, and if you can just make it through a little bit of setup, it’s all yours. With a limit of 200 messages a day you can still make extensive use of outbound email for system monitoring - whether it is via text to your phone or huge messages being sent to an account used for storing log files. Either way, integral email is still a great feature, almost forty years after it first showed up in UNIX.